Practice English here, messages in Portuguese are not allowed. Question: What’s your favorite flower? - Any. They are all perfect. - I don’t like flowers because I’m allergic to it. - Tulips. They are simple and delicate. - Red roses, of course! - I don’t like flowers because they remind me of cemeteries. - I prefer the plastic ones because they don’t need to be watered. - I don’t like flowers but I have some plants like ferns and pine trees. - I like orchids and have some in my house. 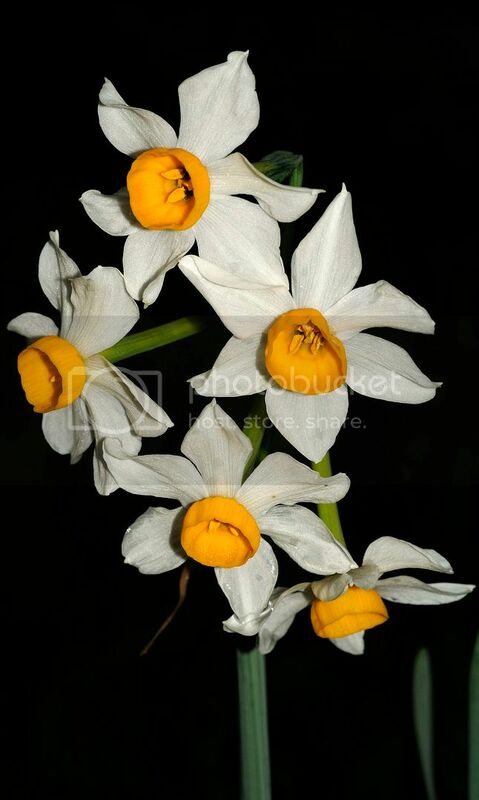 I like daffodil, because it grows up in poor and rock soils. I have never thought about it, but I think I prefer tulips. They are so perfect and have no thorns. The stalk is so smooth and the petals are so thin, delicated and soft! And the colors are so alive: red, pink, orange or yellow, it's always beautiful! Friends, me too, I have never thought about that. But, for sure, almost any flower is quite beatiful. Plastic flowers works out when we don't have time to water them, nevertheless, real ones are even prettier, environments become nicer. In my home there's not plenty of real flowers, but some plastics we can find over here. I like sunflowers because they always seek the light. This flower sniffer would rather leave them alone in their natural environment. Personally, I love a lot of flowers - roses for their meaning and their symbolic character that we held captive in our history since ages and centuries now. Tulips for their simple perfectionist character. As said before their are incredibly beautiful because of their diverse perfectionism. Smooth, no thorns, colorful, bright. And - far beyond beauty and far beyond being the most wonderful of all flowers in the world, my personal favorite - the calla lily. A marvelous flower that I love to have around me. I always order these [url=florist flowers]florist flowers[/url] at my local store and I keep them for about a week while they decorate my environment perfectly beautiful. I really love orchids!!! I always have at least one blooming in my house.I think they are delicate and sophisticated.And the best thing about the orchids is that you don t need to water them everyday and its flowers last a good month. We have to be professional learning, a country that learns ..."
"Rose, the older, more fragrant, unlike cabbage..."
What is your favorite adventure sport?